Roberta Leary knows textiles and colour. 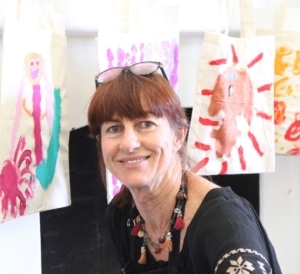 With over 25 years of teaching experience and success as a freelance designer specializing in hand painted and screenprinted textiles for interior design and fashion garments her classes are fun, colourful and inspiring. After completing a BA in Design (Textiles) at Curtin University Roberta went on to open her own textile business and teach a variety of art, design and fashion practices to students and impart her passion and knowledge on to others.